by Sarah DeAngelis | Aug 21, 2017 | Diversity, IT Diversity, Leadership, STEM diversity | no comments. Hi, my name is Sarah DeAngelis. 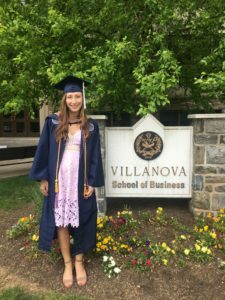 I just graduated in May from Villanova University with majors in Accounting and International Business. This summer, I am assisting TCGi’s Controller, Margaretta Essilfie, in the accounting department. I am enjoying working with the close knit team and developing my technical accounting skills. My responsibilities include performing reconciliations of key accounts and ensuring our accounting information system is up to date. 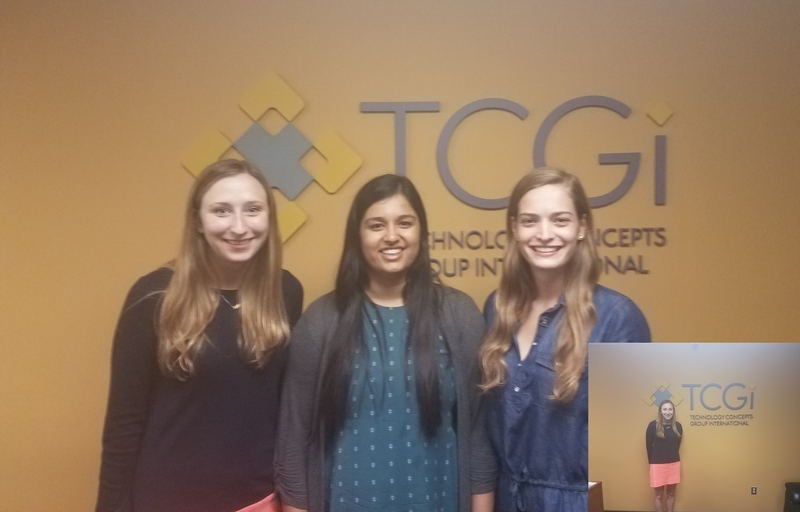 My favorite part is working closely with Margaretta and seeing how the accounting concepts I learned in school are applied to TCGi’s daily operations. During my four years at Villanova, I was very passionate about being involved on campus. I held many different leadership roles. My favorite activity was being a part of New Student Orientation. As a staff member, our responsibilities included welcoming new students to campus in the fall and helping them with the adjustment to college. 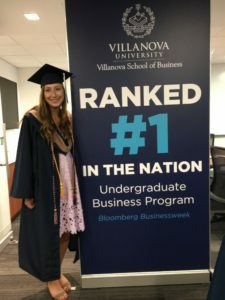 I was also a member of the Villanova School of Business Ambassadors Program Executive Board, where I held the position of Director of Development. The organization’s mission is to represent the Business School to prospective students and visitors who want to learn more about the business program. I oversaw the interview process for over 125 candidates and the selection and training of 30 new board members. While at Villanova, I also enjoyed spending my free time volunteering. I participated in two Habitat for Humanity weeklong building trips during over my fall and spring breaks. I was a site leader for Villanova’s Day of Service, organizing a group of over 100 students to volunteer at a service site in Philadelphia. I was also helped organized Villanova’s Relay for Life event which raised over $50,000 for the American Cancer Society. Within the Business School, I was a member of the Women in Business Society and the Women’s Mentorship Program. The mentorship program connects students with alumni who work in the field they are interested in pursuing and hosts networking events. My mentor has been very influential and she helped me decide that I wanted to work in public accounting after graduation. Shadowing my mentor at her office was extremely beneficial because I was able to better understand what she does daily. Our meet ups now extend beyond the program sponsored events and we catch up every couple months. After my sophomore year at Villanova, I selected to attend three leadership conferences hosted by Deloitte, EY and PwC. At each event, I spent two to three days in either the company’s Philadelphia or New York with business students from other schools. I really enjoyed meeting other students and professionals who wanted to share their experiences. The events highlighted the different opportunities in accounting and business but also the importance of developing soft skills, such as presentation skills, working on teams with different personalities and maintaining lasting professional relationships. Studying International Business, I had the opportunity to study abroad twice. 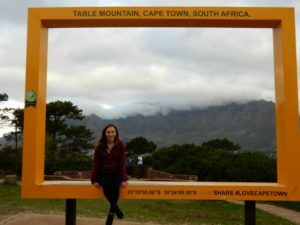 I spent the summer at the University of Cape Town in South Africa with CIEE’s Community Development and Social Justice Program and a semester in IES’s Entrepreneurship and Technology program in Dublin, Ireland. Both programs were unique and amazing opportunities to learn about new cultures, especially in places so different from the United States. I pushed myself out of my comfort zone and sparked a love for travel, exploring and experiencing new cultures. You are probably wondering, what does Community Development and Social Justice in South Africa have to do with your accounting major? Nothing. I hated the idea of taking my humanities and sociology requirements in a stuffy classroom on campus all summer. I am very involved with volunteer organizations on campus, such as Habitat for Humanity and Business without Borders and spent both my fall and spring breaks on week long service trips within the United States. The program in Cape Town, comprised of two classes on poverty and development strategies in South Africa, was a perfect opportunity to study a passion with a perspective I would not have been able to gain at Villanova. Furthermore, as a business student, I firmly believe I have the power to make a difference and was eager to gain a new perspective in a developing country. The power of globalization is in almost every aspect of business and requires a global mindset. South Africa is an emerging market with many business opportunities while also facing many social challenges. From this program, I now realize that understanding the social issues of a community is just as important as understanding the culture and the economy. During my time in Cape Town, I took two classes and I volunteered at The Ark, City of Refuge, a non-profit organization. The program works to provide rehab, housing and employment for men, women and children who are homeless. What really stood out to me about Cape Town was how friendly South Africans are. I was not used to this, I had learned you are not supposed to talk to strangers. At first, I was completely confused when strangers would start a conversation with me. During our first week, we were waiting for the train with our program director, who encouraged us to talk to South Africans who were waiting for the same train as us. In the US, I would never think of starting a conversation with strangers on the street. In Cape Town, everyone was super friendly and wanted to talk. He was right, talking to the people who lived there was the best way to learn about the culture and the history. During my time, I learned just as much from the friends at my volunteer site and my homestay as I did in the classroom. I participated in a homestay program where I stayed with a family in the township of Langa on the out of the city. Langa was established during apartheid as the only area where Black Africans who working in Cape Town were allowed to live. My homestay sister Ria, showed me around the township for the weekend, including going to the market to grab a sheep’s head as a snack (yes, you buy the actual head and everyone fought over who got the eyes!) and a traditional Xhosa engagement party. I was really surprised how much everyone I met knew about American history and current events compared to my limited knowledge about their culture and history. After studying in Cape Town, I was eager to go abroad again and continue to develop a more global perspective of the world. 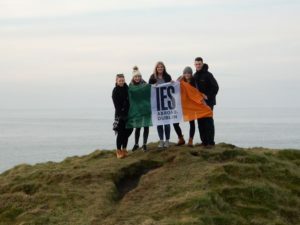 For the spring semester my junior year, I participated in IES’s Entrepreneurship and Technology program in Dublin, Ireland. Dublin is home to the European headquarters of Google, Facebook, Twitter and many more at the Silicon Docks, the Irish equivalent of Silicon Valley. It was the ideal place to study entrepreneurship and I have had the opportunity to take advantage of the tech hub in Dublin through guest speaks and field trips. In my Technology Ventures class, we spent the class going from generating an idea for an app to pitching our business plan to a top venture capitalist at the end of the semester. I also took business classes with European professors which furthered my understanding of global dynamics. My classes taught me to think more globally and I loved learning more about topics that I normally would not have studied in my accounting classes. While in Dublin for the semester, I spent my weekends traveling around Europe. In total, I traveled to nine countries and over 16 cities. From this journey, I met amazing people and developed a new sense of independence that I would not have gained in my comfort zone in the United States. By the end of the trip, I found I barely blinked an eye as I jumped on a new public transportation system, backpack in tow, eager to explore a place I knew nothing about. Throughout, the experience I have become more culturally aware from the places I visited and the people I met. I was forced to be flexible and adapt quickly to changes when things did not go as planned. The challenge of landing in a foreign country and taking the time to explore the city and learn the history and culture has furthered my love for new experiences and opened my eyes to the world around me. All of a sudden, I had to adapt to new environments, understand different cultures and be confident in my own skills to overcome the challenges I faced. In addition to working with the TCGi team this summer, I am also studying for the CPA exam and take my third part at the end of the month! In the fall, I will be starting with PwC in their New York office as an Assurance Associate. I will be part of an audit team that serves clients in the Industrial Products Sector. I am thankful the opportunity to continue to gain experience this summer. The skills that I am learning at TCGi will be extremely valuable in the next chapter in my career.